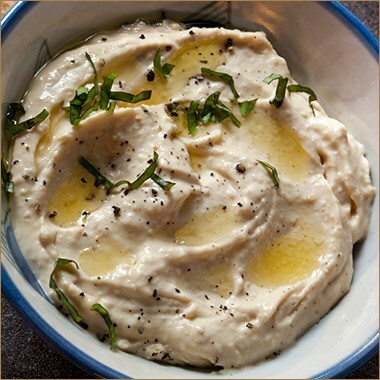 Try this sophisticated twist on classic hummus as a dip with fresh vegetables or pita chips. It’s a wonderful nutritious snack and a tasty condiment on sandwiches and hamburgers. Place all the ingredients in a blender. Blend on high until smooth. Serve with pita chips, carrot sticks, celery, cucumber slices, and bell pepper slices.